The gardens are easing their way into autumn. It has been an amazing summer with the flower cutting gardens producing far more than any other year, and while we still have much work to do in and around the cutting gardens, the bee yard and just life in general before the weather changes, I'm ready for a relaxing evening spent making and creating. I'm hoping you'll join me. 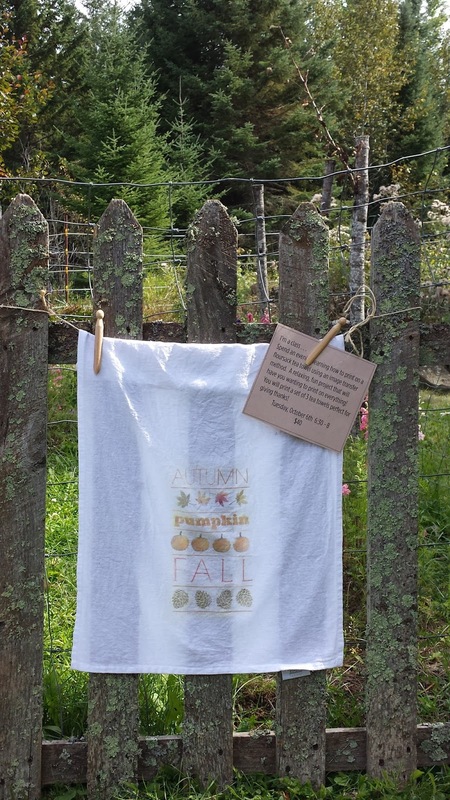 With Thanksgiving just around the corner, these pretty tea towels will make a lovely host's gift (if you're able to part). The great thing . . . you will leave class having printed three flour sack tea towels and enough print medium to make more (or an entirely different printed project) at home. Yay!